Paul Walker's untimely death in a fiery car crash on November 30th had put the filming of 'Fast & Furious 7' - that was in mid-production - on on hold for an unspecified period of time. Universal Studios had released a statement on December 4th following Walker’s unexpected and tragic death saying that they were halting production pending ‘options’. The options available were to find a way to salvage the footage already shot or make the costly decision to re-shoot the entire movie. The latest movie in the popular franchise had originally been slotted to open July 11 2014, however fans of Fast & Furious can now rest assured that the film will be released, but in 2015, and that Walker’s character Brian O’Conner will still be in it. 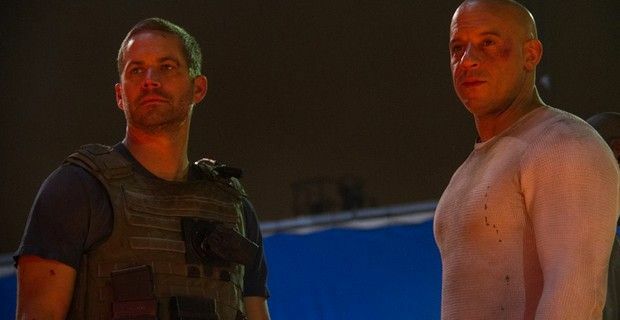 It was Vin Diesel who posted a photo of himself with the late Paul Walker on his Facebook fan page on Sunday evening who revealed the new release date. Fast and Furious 7 will be released… April 10th 2015! At the moment it is unknown how Walker’s character will be written out, while there are rumors that Cody Walker, Paul’s brother, could replace Paul in the scenes that still need to be shot.